At least 65 people were killed in a wave of bombings in Iraq on Saturday night, officials said, bringing the death toll this month to more than 520. On Saturday, twelve car bombs and a roadside bomb hit the city of Baghdad, while another bomb exploded in Madain to the south of the capital, a police colonel and a medical official told AFP. 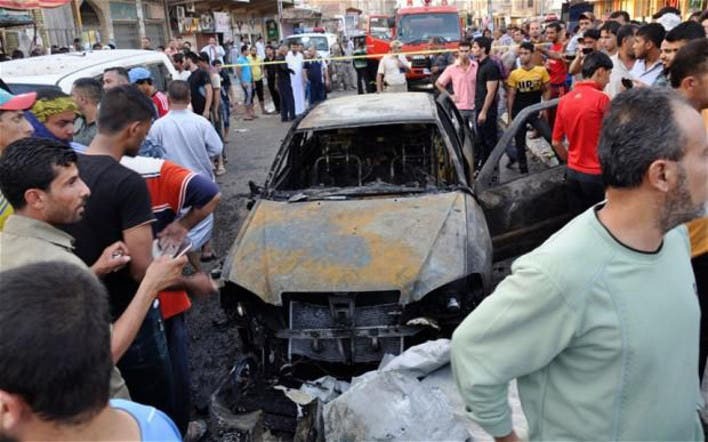 Two car bombs killed 12 people in the Karrada, while two car bombs and a roadside bomb hit Zafraniyah, both areas in central Baghdad, AFP reported. The attacks are believed to be coordinated. The blasts, which struck as Baghdad residents turned out to shop and relax after the Ramadan iftar meal, also wounded 190 people. Iftar is the meal that breaks the daily fast during the Muslim holy month. Since the beginning of 2013, more than 2,700 people have been killed in Iraq, according to AFP figures based on security and medical sources. Saturday was the deadliest day of violence in Iraq since June 10, when attacks killed 78 people. The Saturday bombings came a day after a suicide bomber killed 20 people inside a crowded Sunni mosque north of the capital. Militants have attacked both Sunni and Shiite mosques in recent months, raising fears of a return to all-out sectarian conflict that killed tens of thousands of people in past years.